When I saw these earrings from Baisley & Nior I thought how lovely. Then I saw what they were made from and my thought was do I go buy popsicles or just the sticks? Either way they turn out quit beautiful. I have a confession to make…I am really bad about keeping track of where I lay my needles. And yes this has led to a few problems with bare feet and sharp needles. 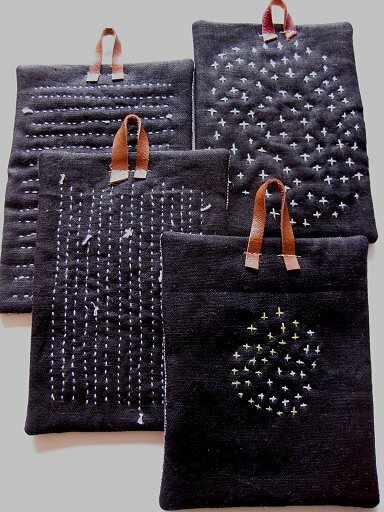 So I have a plan thanks to Diary of a Crafty Lady. I am going to make this needle holder, maybe a couple and keep them where I do my hand sewing. Might make a few for stocking stuffers for Christmas while I am at it. School days are getting closer. 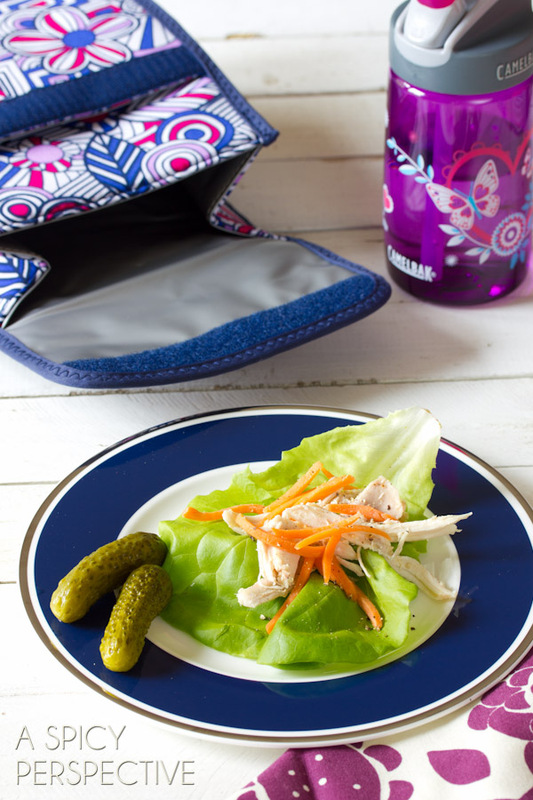 I grew up taking my lunch to school and even though my guys were homeschooled, they would eat lunch with their friends when we had co-op days. 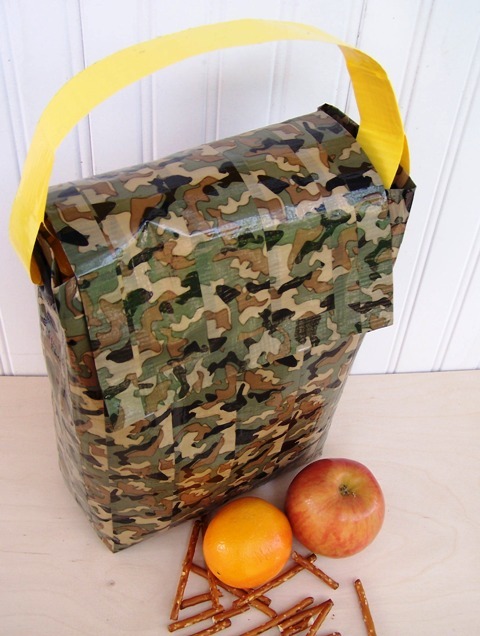 When they were little they would love having super hero lunch bags as they got older we went to brown paper sacks. I think the duct tape sacks or the clothe ones made to look like a brown paper bag would have worked. (And still been cool) It was never cool to put a note in their bags, though that didn’t always stop me. Hershey Kisses got the message across and that was OK. 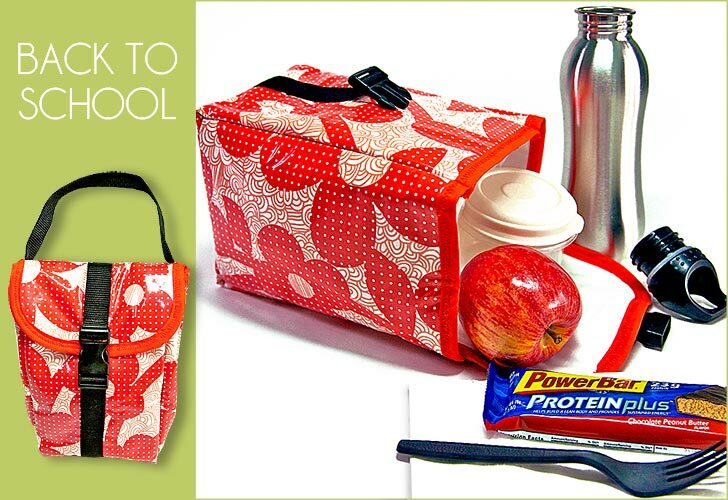 So here are a few ideas for lunch bags and things that might help when making lunch. 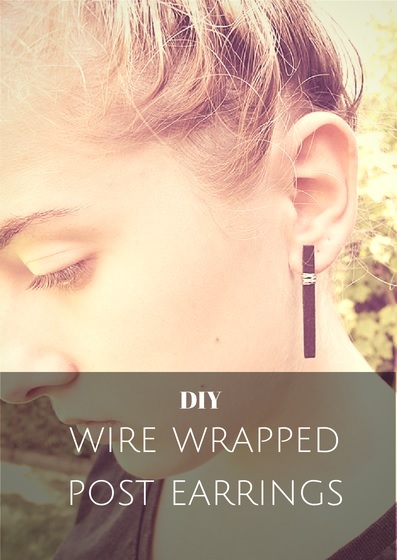 Duct tape is very durable and comes in lots of designs now. Check this out at 504 Main. 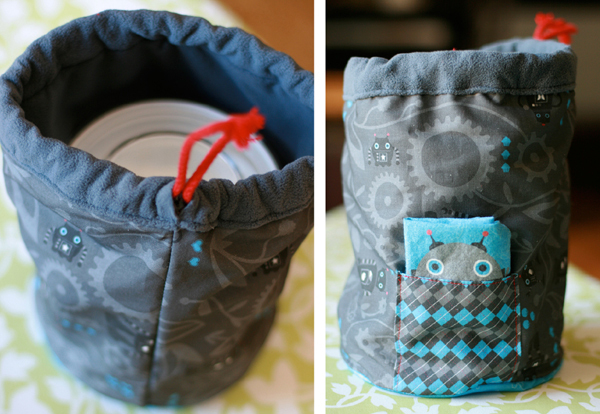 Cute round bag found at Whip Up. Sew 4 Home does wonderful sewing tutorials, this one is insulated and laminated. This one would be easy to personalize, from A Lemon Squeezy Home. Spicy Perspective has some great ideas for lunch. 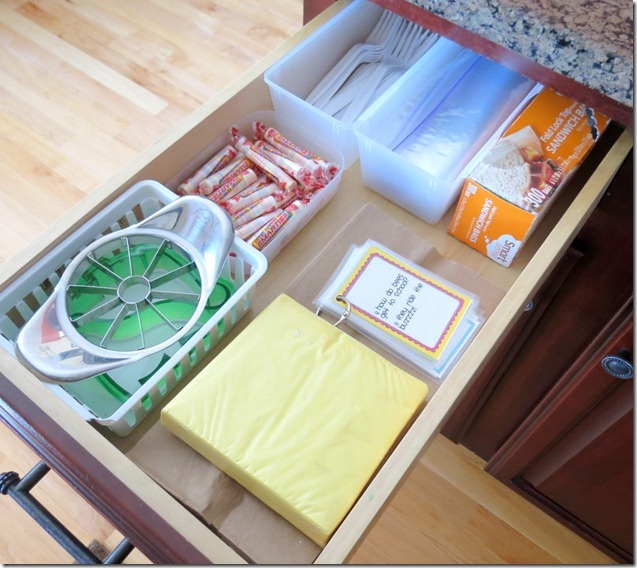 Living on Love and Cents has some great organizing ideas. Thought this was a good idea. 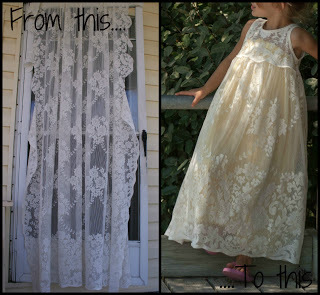 Refashion, upcycle, recycle,reuse, whatever word you use it can be a lot of fun. I like looking at something and seeing how I can remake it. 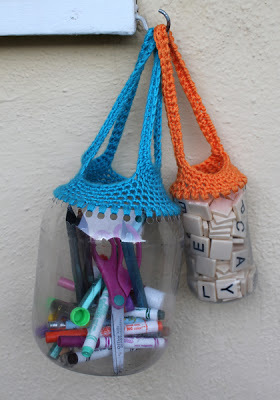 Here is a collection of wonderful ideas for reusing items you maybe getting rid of, or you just can’t let go of even though it doesn’t serve it purpose anymore. 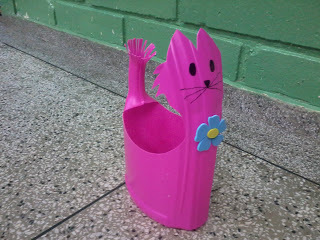 Recycled items also are good for art and craft medium. Old books, sheet music and maps are fun to draw and paint on. 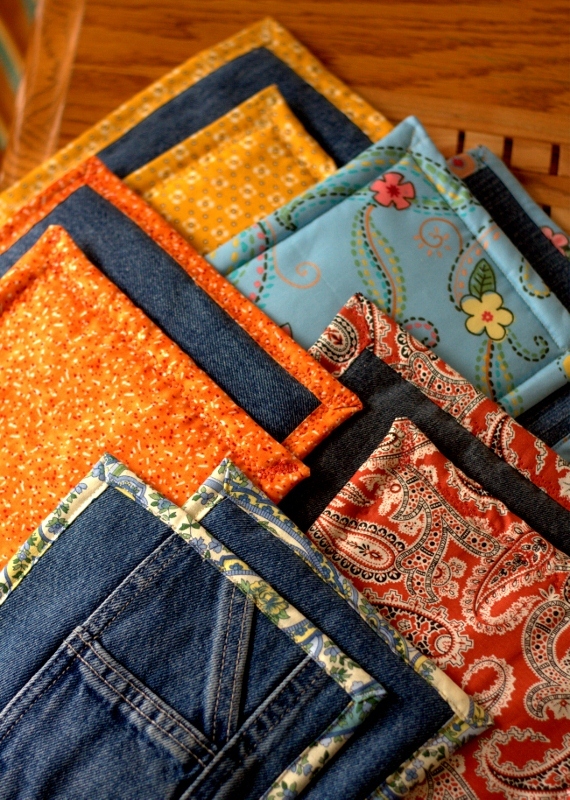 I have decided to make pot holders as Christmas gifts this year. 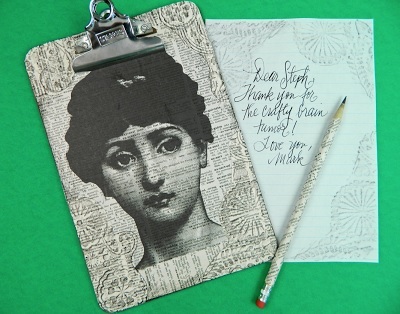 They are pretty easy, I can use scraps of material and easy to personalize. Here are a few ideas I have gathered. School supplies have hit the stores! 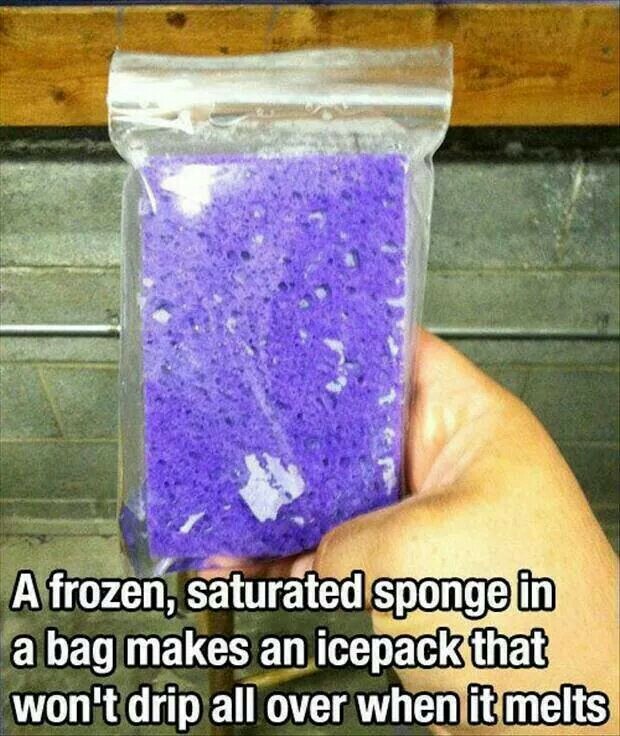 This is when I buy things for my craft room. I keep a good stock of glue, crayons, markers and pencils. I use note cards for drawing ideas or doodles. Today I have found a number of ways to use clipboards. 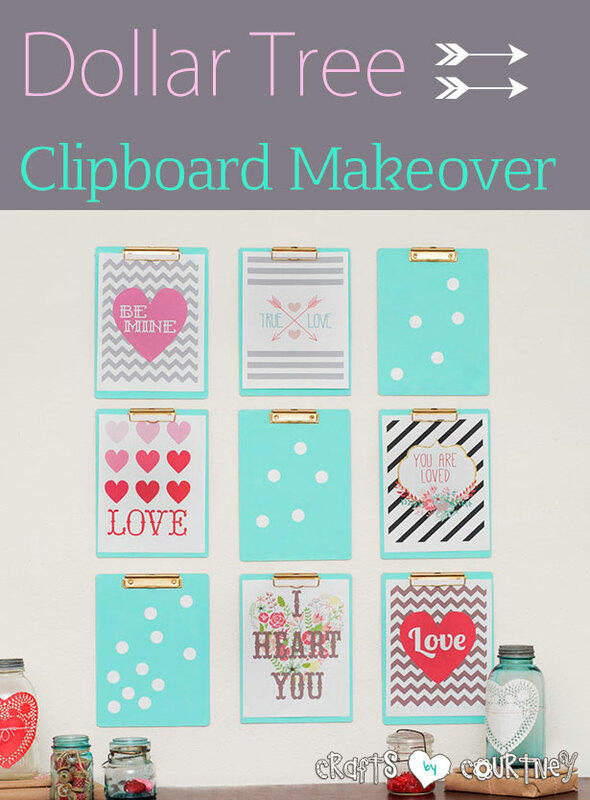 You can often find masonite clipboards at your dollar store. 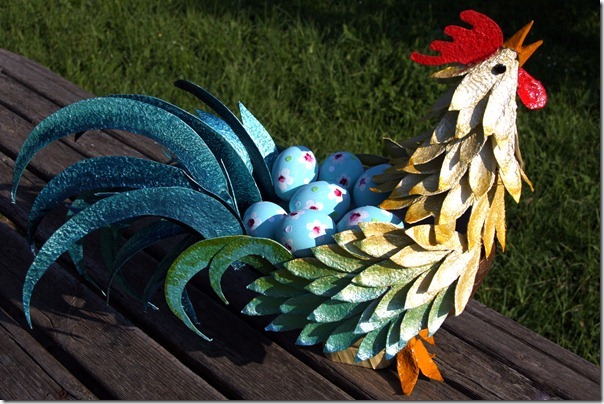 Here is a decorative wall art display from Crafts by Courtney. 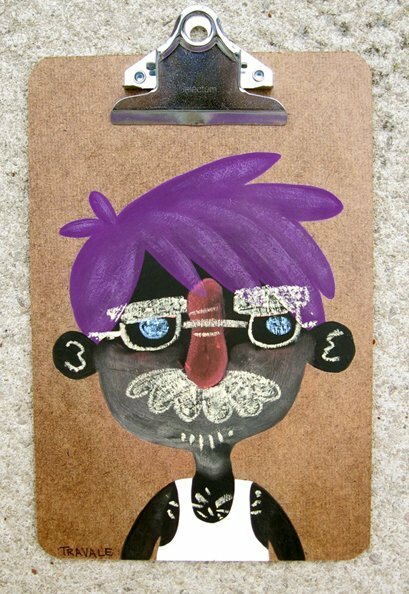 Rub art clipboard from Mark Mantano. 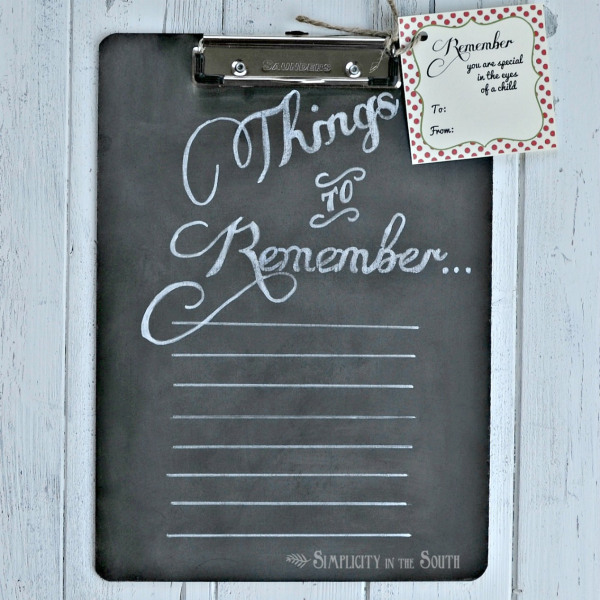 Chalkboard paint and things to remember by Simplicity in the South. 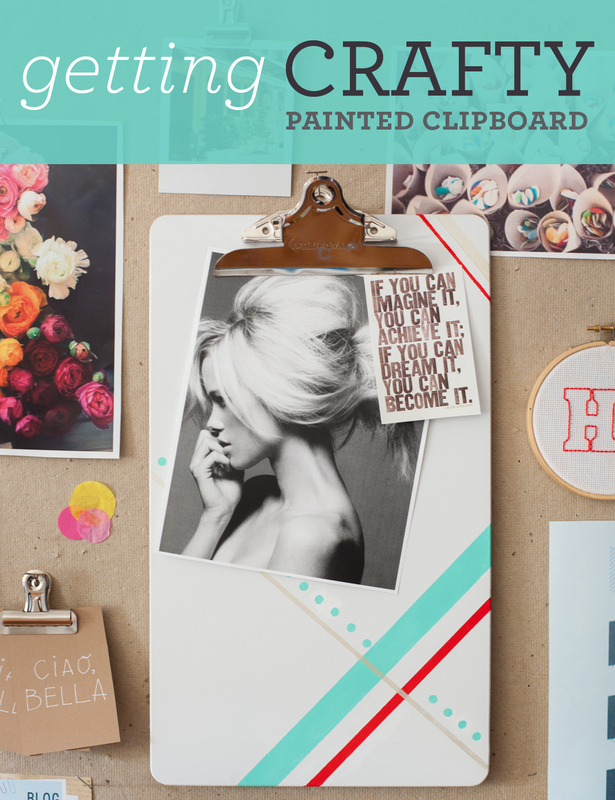 Fun painted clipboard by Ampersand. 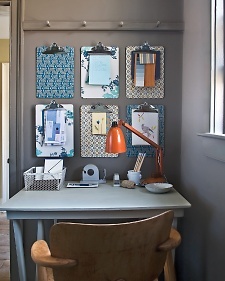 Organizing a small office space from Martha Stewart. What fun from Apartment Therapy. 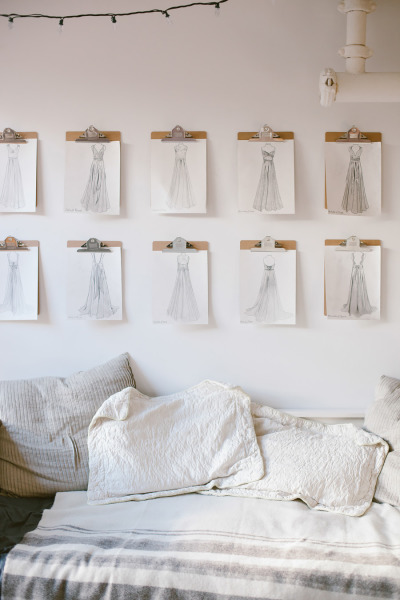 The simplicity of the collection of plain clipboards with pencil drawings from Style Me Pretty is very elegant. 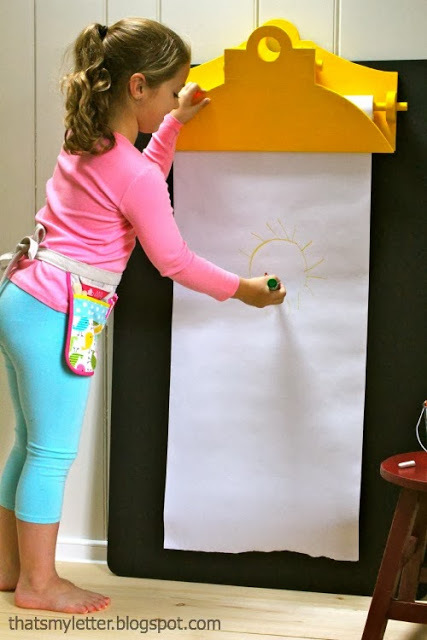 Or you could make your own giant clipboard with details from That’s My Letter. This handmade scrape yarn looks so pretty on the spool you might just want to show it off, but I have thought of lots of way to use the yarn. 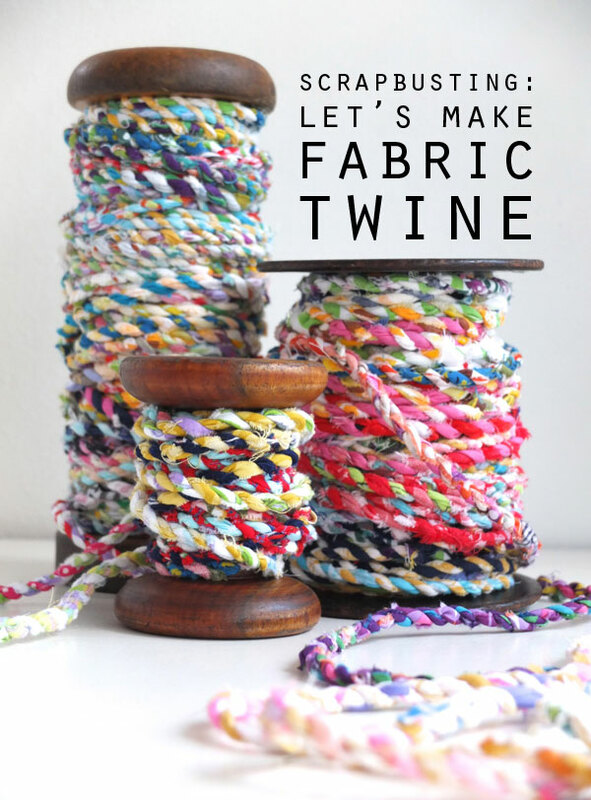 You could sew it down as an embellishment to a purse or tote, coil and stitch it for a coaster, use it for bracelets, use as a gift ribbon….for more ideas read the comments left at My Poppet. 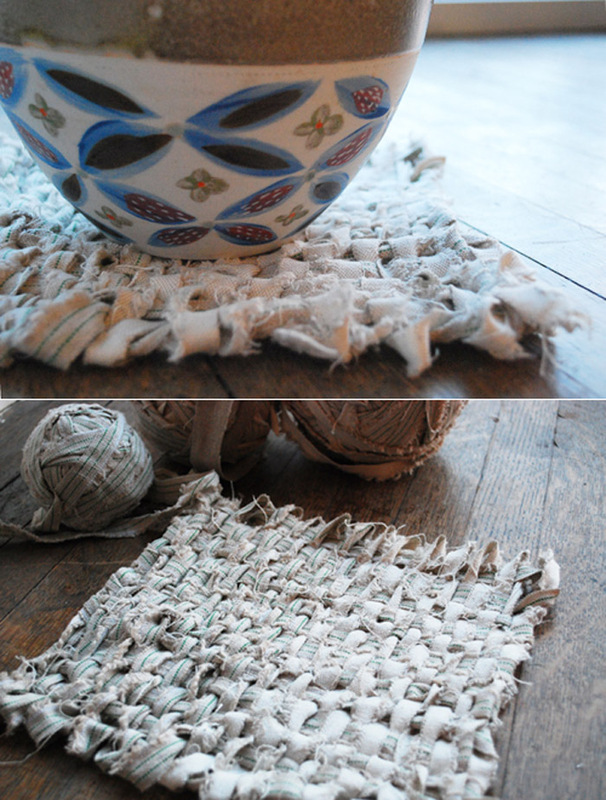 She even has a video along with pictures to show you how to make the yarn.